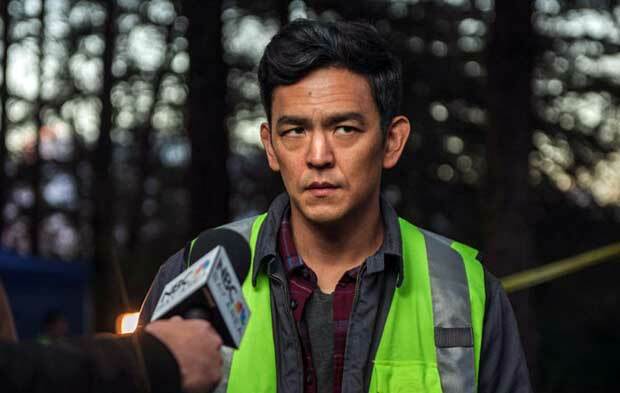 How the internet impacts modern life would be a timely theme for a techno-thriller; unfortunately Aneesh Chaganty's Searching makes only fleeting reference to growing concerns about data mining and how information is used. Instead, the online world becomes a narrative device to frame a conventional mystery that slips into abject ludicrousness as the story unravels. David Kim (John Cho) is a father mourning the loss of his wife Pamela. His bond with his daughter Margot (Michelle La) seems strong, but when she vanishes he's forced to ask himself how well he really knew her. Why has Margot been putting money intended for piano lessons into a bank account? Who were her online contacts? Has Margot run away, or could she have fallen for a catfishing scam? With the help of resourceful policewoman Rosemary (Debra Messing), David faces a ticking clock as he attempts to uncover the secret behind his daughter's possible abduction. Chaganty's concept requires ridiculous levels of contrivance to tell his story entirely through smartphones and computers, and watching the decidedly tech-ignorant David negotiate various password protection thresholds to access his daughter's accounts can be incredibly tedious. After laboriously exploring a number of narrative dead-ends – from David's pot-smoking brother to the laziest of targets, Justin Bieber fans – Searching concludes with a convoluted solution that's patently farcical to anyone with a basic knowledge of police work. One nice touch has the adverts accompanying David's online search offering him antidepressants: a recognisable trope from a real world that Searching doesn't seem interested in addressing. Exploiting decidedly adult concerns about the safety of children, Chaganty's film instead offers the most childish of whodunnit scenarios, leaving the actors floundering in service of a silly, modish gimmick. Screening as part of the Edinburgh International Film Festival 2018. General release from Fri 31 Aug.
David (Cho) is mourning the loss of his wife, but when his daughter (La) disappears, he has to look for her with resourceful cop Rosemary (Messing). A childish whodunnit with a ridiculously contrived story, concluding with a convoluted solution that’s farcical to anyone with a basic knowledge of police work.